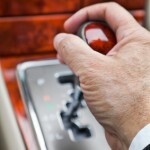 Leadership Dynamics, Inc. | How to Shift Your Sales Team into HIGH Gear! Maybe you feel your sales team isn’t ready for high gear. Maybe you would be happy if they just were headed in the right direction. Well, wherever your team is, that is where you start. So, first get a baseline of their sales knowledge. No, don’t guess and don’t have your sales managers rank the team. One thing we know for sure is that supervisor assessment is the least accurate gauge. Instead, start using sales analytics. Find out clearly and quickly what each person knows/gets about the sales process. You may be very surprised. The good news is that you might discover that your top performers have some “holes” and have even more sales potential. I don’t think you would mind if your top folks increased their sales by 10%, 20%, 30% or more — would you? You might also learn that your bottom performers have “fixable” holes. What a delight it would be to turn around those folks who never seem to reach goal! 1st Gear: Sales managers are surprised by results – good or bad. Sales people are left to their own devices to identify, approach, and sell. 2nd Gear: Sales managers monitor results and use “stick” method to incent higher performance. Commission structures are capped/have unintended consequences. Territories or industries may be identified. Some training/coaching is provided. 3rd Gear: Sales managers monitor results closely and work with sales team to forecast realistic goals. Traditional sales training is provided that focuses upon asking open-ended questions, presenting, dealing with objections, closing. Ride-alongs are utilized as coaching opportunities. Technology systems to monitor activity and control database (e.g., CRM) are utilized. 4th+ Gear: Sales managers identify winning sales profiles and hire to that (get the right person into the right sales position). Management focus is on cause as well as results. Consequently, review/monitor real-time sales results, but also assess causes (e.g., sales knowledge, etc.). Clear account planning and focus is integrated into sales management. Aligned training based upon sales knowledge assessment is provided. Knowledge sharing throughout – learn from the top performers and veterans to improve the whole team. High-impact coaching is infused into all sales managers – utilizing analytics and behavioral knowledge. If you are in first gear, you do not need to grind through all four gears. Add a few of the key elements, but step on the clutch and push it into 4th! It may jerk a bit, but ease out the clutch and add a bit more gas. Don’t give up. I said in the beginning, start with a baseline. Use it to understand the cause of your sales results. Take the mystery out of sales performance and discover where the real causal gaps are. You can’t fix the car without proper diagnostics – same for your sales team. Our recommendation is to use the Selling Skills Assessment ToolTM or something equally as strong. We know it works and helps our clients get sales lifts of up to 40% or more. It isn’t the Holy Grail, but it is a critical first step to getting to HIGH GEAR! How can we help you and your sales team’s performance? Contact me at our office (925) 831-9100 or visit our website www.leaders-inc.com or on Facebook at www.facebook.com/leadersinc.